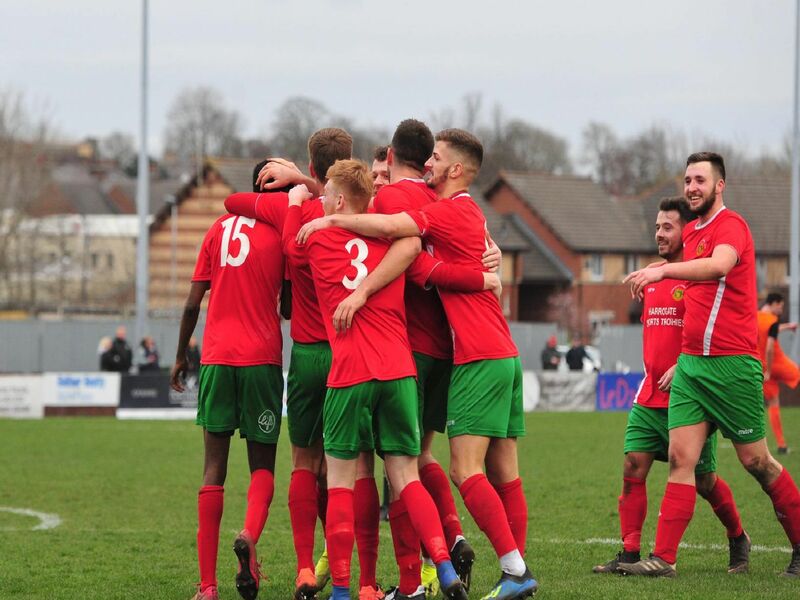 Harrogate Railway moved off the bottom of the NCEL Premier Division and out of the relegation zone after Saturday's 2-1 success over Athersley Recreation. Late goals from Albert Ibrahimi and substitute Aaron Kitao fired Craig Ogilvie's men to a crucial victory in their battle to beat the drop. PICTURES: GERARD BINKS. Albert Ibrahimi gets on the ball. Nuno Pereira looks to get Railway moving forwards. Thomas Marsden challenges for the ball. Adam Turner escapes the attentions of an Athersley defender.